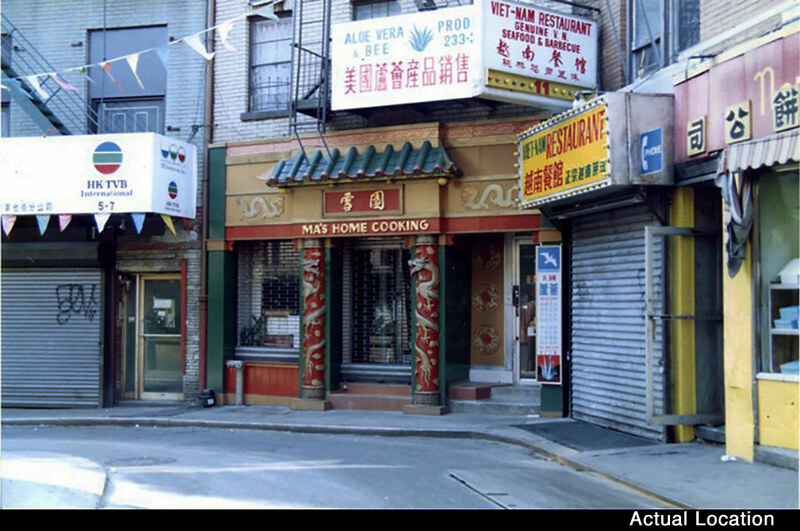 MA'S HOME COOKING was modeled after an existing restaurant on Doyers Street in New York's Chinatown. Doyers is a small street, that's easy to miss if you're not looking for it. It only runs one block long, and makes a sharp 90 degree turn midway. The street has an interesting history. The tabloids used to refer to it as the "Bloody Angle" because of the tong wars that were fought there in the early 20th century. Apparently the façade of the restaurant was a remodel job by some scenic carpenters shooting a movie on the street. The owner liked it so much, he asked them to leave it intact when they went to 'strike it' at the end of production. 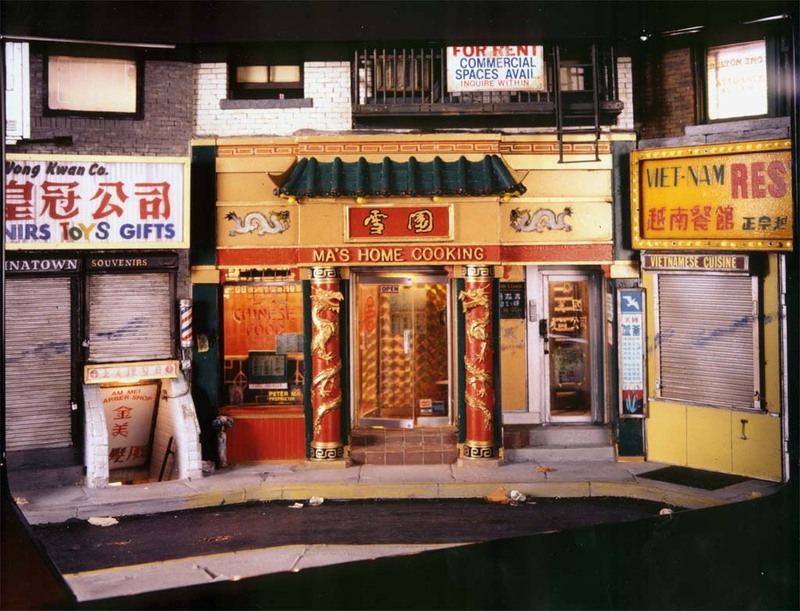 The restaurant interior in the model is complete, down to the chopsticks on the tables, and the take-out orders waiting to be picked up. There's also a view down into the barbershop next door.